In April, the state of Kerala experiences hot and humid climate. So a holiday in Kerala during this month may sound a bit unpleasant to most travelers. But I want to assure you that if you plan well and take note of a few tips, you can certainly have a memorable vacation time. You just need to choose the right destinations and the right activities. 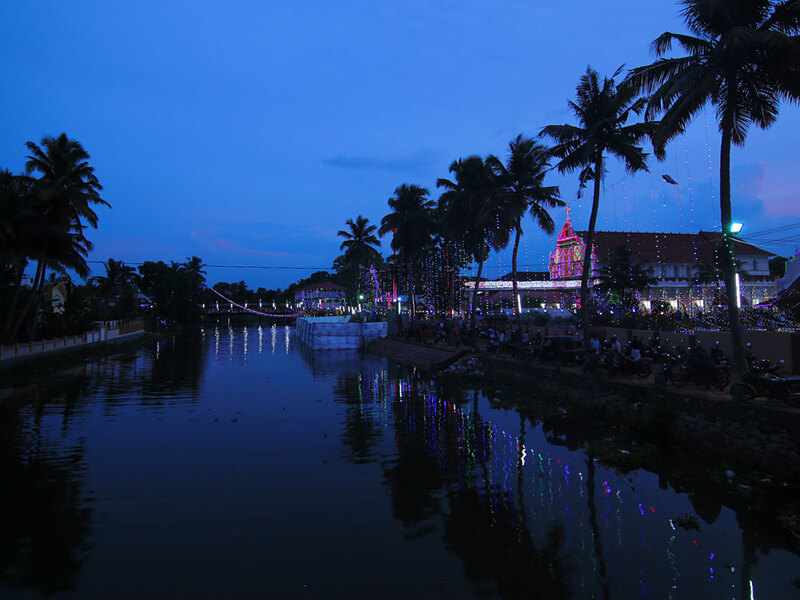 In fact, many destinations in Kerala become ideal holiday spots during this season. Let me explain in detail all the things you need to know about April in Kerala. There are multiple benefits in planning your visit in April. ▪ The hill stations in Kerala experience ideal weather conditions. 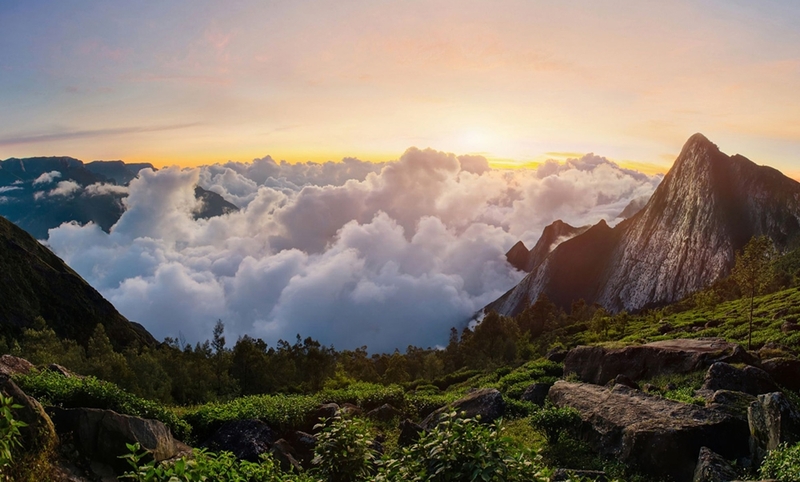 While most of India dreads the scorching heat and draining humidity, travelers visiting the hill stations of Kerala have the time of their lives. The lush green hill stations actually take on added charm because of the bright sunshine. The weather is extremely pleasant. The environment also becoming misty from time to time with sun rays trying to penetrate through the mist and creating a majestic view. ▪ A big drop in the tariff of hotels and resorts. Since April is not the peak season for tourism in Kerala, many hotels and resorts have a big drop in their rates. So you can stay at the best of resorts and enjoy great luxury at unbelievable prices. You will be able to find the availability in a highly demanded fancy luxury hotels or houseboats for affordable pricing! With diverse topography and great natural beauty, Kerala welcomes tourists from all over the globe. It is one among the 100 most loved destinations in the world. A tour of Kerala is the only way you can find out why the state got the name “God’s Own Country’. The city of Cochin is certainly the most urban city in the state of Kerala. It has a number of tourist attractions and shopping centres. So it both kick starts your trip as well as gives it a perfect climax. At Cochin, you will find multi-cuisine restaurants, shopping malls, multiplexes and fast-food joints. Cochin also has an international airport. Make sure to visit Fort Cochin also. It features monuments, palaces and museums along with serene beaches. Activities to do in April: Plan to visit the malls in Cochin and escape the heat. You can also explore the palaces and museums and attend cultural shows at different venues. The climate in April is generally hot and humid. So it is better to plan more of indoor activities than outdoor ones. Try to avoid places where you have to walk a lot under the sun. You can enjoy outdoor activities if you visit them early in the morning or in the evening. Some more about – Wonderla Cochin, Thattekkad Bird Sanctuary. With ideal weather conditions during day time as well as night time, the hill station of Munnar seems especially inviting during April. The scenic tea plantations, evergreen mountain slopes, and beautiful dams make Munnar a must-visit destination. They look even more charming because of the bright sunshine. While winters in Munnar can be very cold, the month of April is just perfect. So you won’t have any problems with the weather. Activities to do in April: You can visit all the tourist spots any time during the day in the month of April. The lakes in Munnar are must-visit places during summer. So do not miss Mattupetty Dam, Kundala Lake and Echo Point and Tea Museums. Thekkady is a scenic location featuring exotic wildlife, spice plantations and exquisite natural beauty. It is home to the famous Periyar National Park, which has many varieties of flora and fauna. The most amazing thing, however, is the opportunity to spot wild tigers. The boating activity in Thekkady is extremely famous, especially for the sighting of different wild animals. Thekkady has a lot of places to visit and explore. Here are some of the best destinations to visit in Thekkady. Activities to plan in April: You can plan to visit Ramakkalmedu and Paruthumpara since they will have relatively pleasant weather. April is not the best time to try nature walks, camping or border hiking. But you can visit the Periyar Lake. It is very famous for boating and bamboo rafting. Bamboo rafting may not be a good idea but you can go for a boat ride. However, do not expect to spot animals on the shore all the time. Alleppey is said to be the most popular destination in the beautiful land of Kerala. Its vast backwater stretch and lush green villages showcase pristine beauty. It is particularly famous for offering premium houseboat cruise experiences. Such cruises are available all through the year. But sometimes when there are very heavy rains, the cruises can be suspended. Activities to plan in April: Houseboat cruise is the trademark activity to enjoy in Alleppey. But since the weather will be hot, make sure to opt for AC Houseboats. The food menu in the houseboat makes it a must-have experience for foodies visiting Kerala. You can enjoy shikkara and canoe rides but don’t go for them in the afternoon. Situated along the banks of the scenic Vembanad Lake, Kumarakom is a quaint village with colourful homes and lush greenery. Its backwaters offer amazing opportunities to explore the villages on the shore and to absorb all the natural beauty. You can enjoy speed boating and houseboat cruises through larger canals. But for the narrower ones, you can take a canoe ride. Kumarakom is home to a vast bird sanctuary with many rare birds like wild ducks, herons, Siberian storks etc. Activities to plan in April: Enjoy houseboats cruises, but prefer AC houseboats because the weather will be hot. You can also enjoy bird watching, canoe rides, village walks, and toddy shop visits. But go for these activities early in the morning or during the evening. 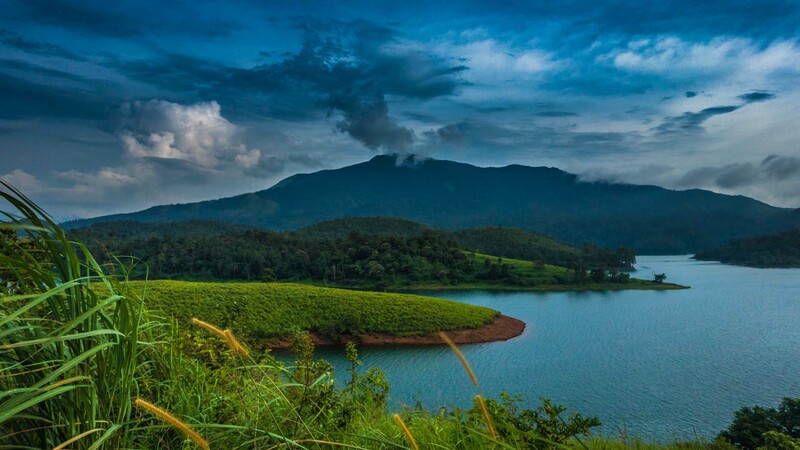 Located in the picturesque Western Ghat, Wayanad is a lush green hill station with raw natural beauty. On your visit to Wayanad, you can go on exciting treks where you can explore waterfalls, mountains, forests and plantations. The place also features many scenic locations. Activities to plan in April: You can plan visits to the caves and temples. It would be a good idea to visit the Banasura Dam and Pookot lake early in the morning or during the evening. But trekking and other adventure activities are not advisable during April. The capital city of Kerala, Thiruvananthapuram, is famous for its bustling beaches, heritage sites and various urban attractions. The city is well-connected by air, rail and road. It can surprise you with its colonial as well as royal architecture. The Kovalam and Varkala beaches of Thiruvananthapuram attract travelers from all over the globe. Activities to plan in April: You can visit the beaches in the evenings and enjoy water sports activities. But during mid-day, the weather will be very hot. An ideal destination to visit in April is the Ponmudi Hill Station. You will really enjoy driving through the winding roads in the cool breeze. Since the month of April is hot and humid, a few places in Kerala may not offer a great experience compared to what they offer at other times of the year. For instance, the beaches and backwaters may not be quite pleasant during the afternoons. You can visit them early in the morning or in the evening but not mid-day. It is not a good idea to visit any of the waterfalls too since most of them will be dry. So their usual charm will be missing. However, Athirapply waterfalls will be having water and good to visit. Eravikulam National Park might be closed from the end of January up until April since it is the calving season for Nilgiri Tahr. So you need to find out from your tour operator or travel agent about the reopening dates. Although the month of April can be hot and humid, there are plenty of activities that you can certainly enjoy in Kerala during this time of the year. Kerala is famous for its large backwater stretch. A houseboat cruise will allow you to absorb the beauty of these backwaters. It is a truly memorable experience. But since April is one of the hotter months, you need to take a houseboat with air-conditioning. You can enjoy a 4-hour day cruise or an overnight stay in the houseboat. The backwaters offer other activities like boating and canoe rides. But April is not a good time for such activities. The state of Kerala features a number of elephant sanctuaries. All of them offer an amazing opportunity to befriend the mighty yet cute creatures. You can give them a bath, feed them and take part in other activities involving them. It is great fun. Some places even offer elephant rides but I personally consider such rides to be cruelty towards them. So I don’t encourage elephant rides. But the kids, if any are with you, might enjoy these rides. The scenic villages of Kerala are home of skilled craftsman and artisans. You will really enjoy interacting with these simple people and all the other villages. As you observe closely the simplicity of their lifestyle and how they find happiness in little things, you will really make some great memories. Although the weather in April is hot, the villages are relatively pleasant because of the trees and greenery all around. Many of the holiday destinations in Kerala feature amazing cultural centers. They have cultural shows displaying the roots of Kerala culture. They do this through various art forms including music, dance, and drama. Kathakali and Mohiniyattom performances are among the most famous. At some cultural centers, they also show Kalaripayattu, the traditional martial art form of Kerala. Although the show may last for just one or two hours, it successfully showcases the best of Kerala’s culture. The shows are not only informative but also exciting and enjoyable. Because of the summer heat, a few activities in Kerala are best avoided. For example, April is not a good time for trekking, camping, cycling or photography walks. Most trekking spots are actually closed. Camping in the forest is especially not advisable because there are chances of forest fires. Even the beaches and backwaters can get quite hot, especially in the afternoons. So you cannot really enjoy beach activities or boating and canoe rides in the backwaters during noon time. Because of the heat, April is not a good time for Ayurveda as well. The waterfalls will be dry, lacking their usual charm. So there is no point visiting small falls. As previously said, do cross check the reopening date of Eravikulam National Park in Munnar if you are planning a visit. During your visit in April, pack light-coloured cotton or khadi clothes. Feel free to carry comfortable clothing such as shorts or Capris for your tour. Women can wear tees, frocks, dungarees, pants, and tops as per their comfort and convenience. Carry hats, umbrella and sunscreen lotions since it can get hot during the day. During April, the weather conditions in Kerala are hot and humid. The weather in the hill stations is extremely pleasant. The bright sunshine actually makes them even more charming. But at other destinations, it can get pretty hot during the day with temperatures going as high as 33 degrees Celsius. The beaches and backwaters can get very humid. First of all, since it is not the peak season, the room tariff at hotels and resorts are relatively low. So you can enjoy great luxury and best-in-class facilities at a cheap price. The climate at the hill stations is simply perfect. The sunshine lights them up and the lush tea gardens start to shimmer. The hill stations occasionally get misty, which only makes the environment more scenic. Because of the hot and humid weather during April, you may not be able to enjoy many of the activities like trekking, camping, canoe rides and waterfall visits. You cannot have a great Ayurveda experience because of the heat. Cycling tours and photography are also a big no. For accommodation, you have to take air-conditioned rooms only unless in hillstations. Otherwise, you will not have good sleep in the night. Check out the best ways to beat the heat during the summer season in Kerala. Please make note that April is one of the hotter months in Kerala. So you may not enjoy many outdoor activities to the full. But you can still have a great holiday experience if you plan well. A great advantage of visiting in April is that you can get luxurious accommodations at very reasonable prices. And also, the hill stations of Kerala are extremely pleasant and beautiful during this season. They will not disappoint you. I hope the above tips will help you to plan a perfect holiday in Kerala this coming April. 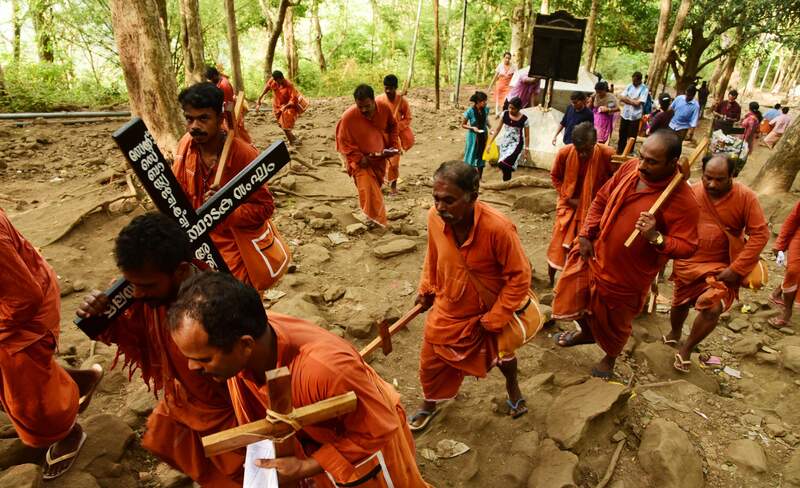 Please share the article with your friends who are planning his visit to Kerala in April! Keep Travelling!